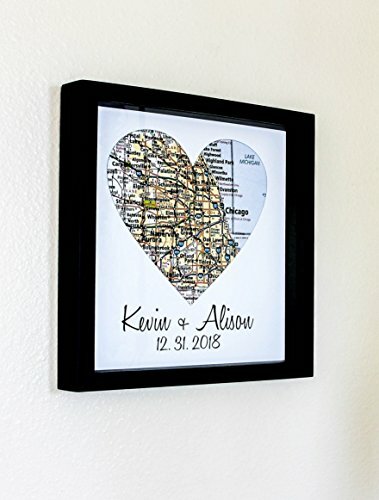 Wedding Gifts for Couples Map Art Personalized Wedding Print. 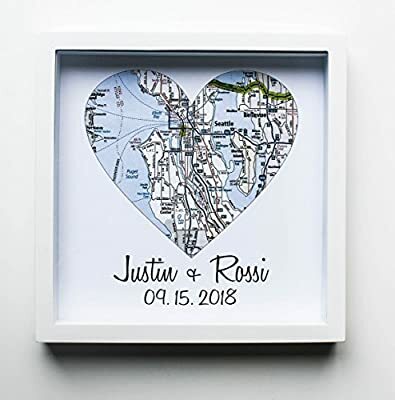 This digital print is customized to "heart" your special day. 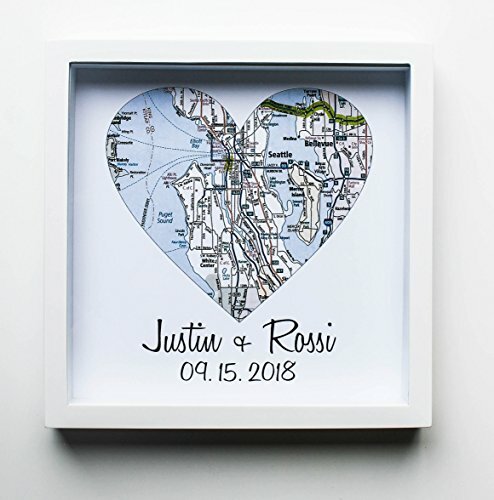 Choose any location worldwide to feature on your personalized heart map. Your print comes beautifully framed in a 13"h x13"w x 1.5"d solid New Zealand Pine shadow box frame. Print design measures 12"x12". Choice of white or black frame. All prints are professionally printed on a premium matte archival Red River paper with ChromaLife100+ inks.